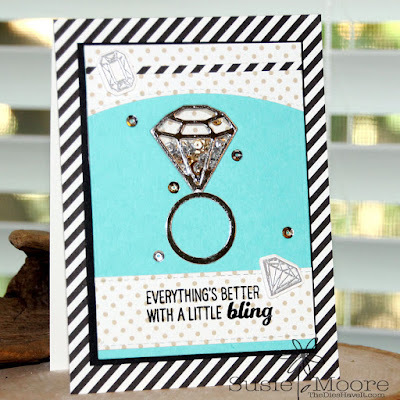 The guest designer challenge over at Ellen Hutson is ending soon, so I decided to enter another card before the August 13th deadline. I may even try to get one more done. 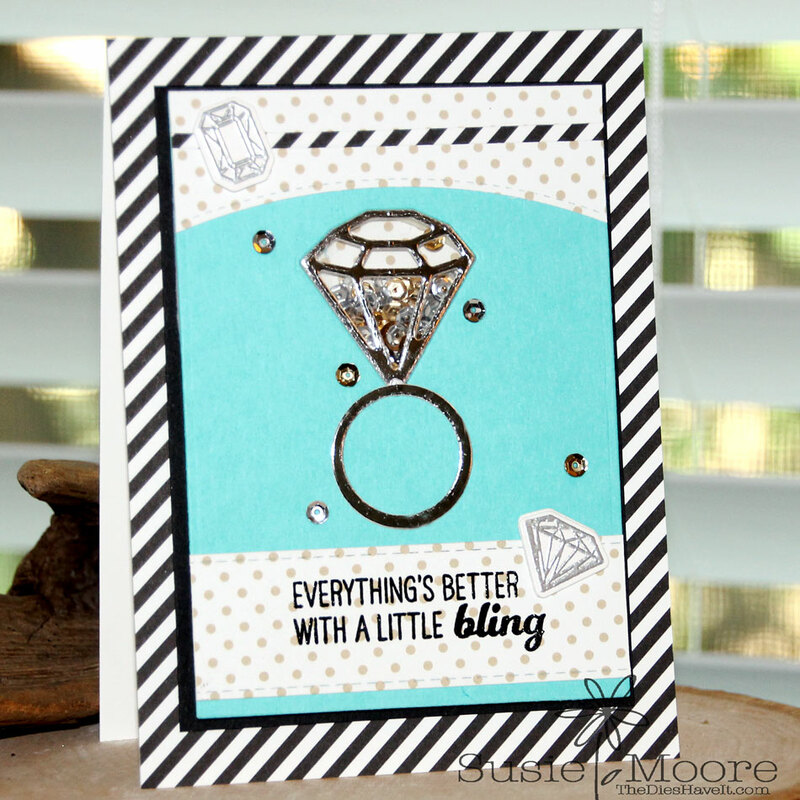 The challenge is to use an Essentials by Ellen product (I used the You Rock die) and other manufacturers' products available through Ellen Hutson. I used products from MFT Stamps, Wplus9, Bazzill, and Pretty Pink Posh. Here are the products I used with links to the store. I made a shaker card by insetting the silver gem die cut piece and then backing it with a transparency before building up my shaker rectangle. I added plenty of gold and silver sequins and it shakes up a storm! You should enter this challenge too! You have another few days to play along! Have a wonderful Wednesday and I'll see you again tomorrow. A SHAKER! With the diamond! BRILLIANT!